Madison Abernethy recently graduated from the Ivey Business School at Western University in Canada, where she developed strong interests in marketing, media and corporate communications. Throughout University she was plagued by writer’s block. She admits that 95% of her designated writing time was spent staring at a blank document, the ceiling, or any other distraction she could find. Madison is now Global Communications Coordinator at McLuhan & Davies Communications, Inc (MDC) in Toronto. As a part of their induction process, she attended Writing Dynamics™, the world-renowned two-day workshop that focuses on writing clearly, concisely, persuasively, and fast. Who has time for the frills of brainstorming? We all know that writing is not always an easy, fun, or entirely productive process. Writer’s block can be crippling as it eats away at productivity and morale. We’ve all got ideas to share, but they often stay in the back of our minds. One thing that really gave Madison that ‘eureka moment’ was when the group were asked how much of their total writing time was spent planning what to write. She answered with 5%. At the time, her idea of sufficient planning was to scribble down main themes and arguments and to just get on with it. She had been advised on the importance of brainstorming and planning in university, having never fully digested the guidance. Writing Dynamics™ is a workshop developed by professional writers to teach participants to better plan, draft, and edit their writing. As Madison learnt, the bulk of work should take place in the planning stages. It is in this part of the process where crucial points surface, main arguments are formed, and a piece of writing is shaped. Madison’s top tips for making every word count! 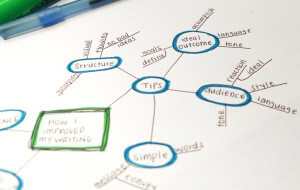 How Madision used the Writing Dynamics™ structure to plan what she wanted to say in our interview. Consider your audience – Who are you writing to? Your choice of language and the angle you take is dependent on this. You will write differently in a letter to your CEO than in a mass advertisement. Focus on the ideal outcome – Are you writing a report? A budget proposal? Creating a sales piece? 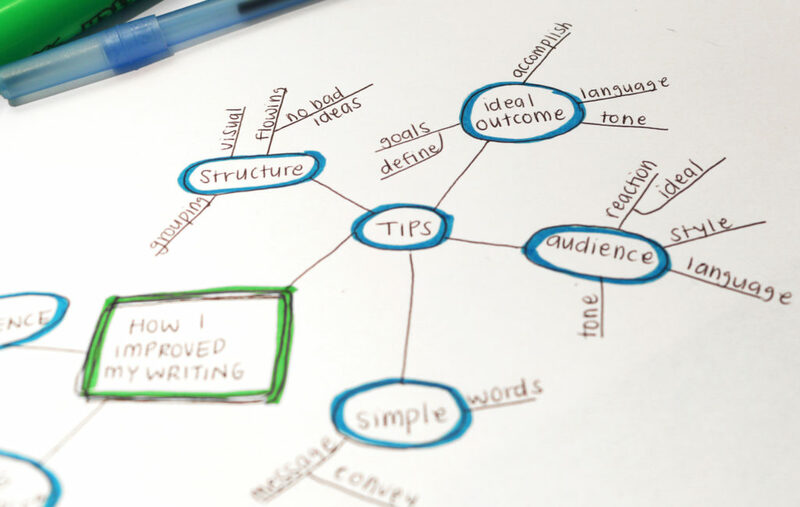 Think about the language and structure you need to use; what your writing needs to accomplish; and what you need to include and emphasise to ensure your reader understands, remembers and is not overloaded. This entry was posted in Communication, Writing Dynamics and tagged Communication, Effective Communication, Graduates, Writing Dynamics, Written Communication by Richard Evans. Bookmark the permalink.